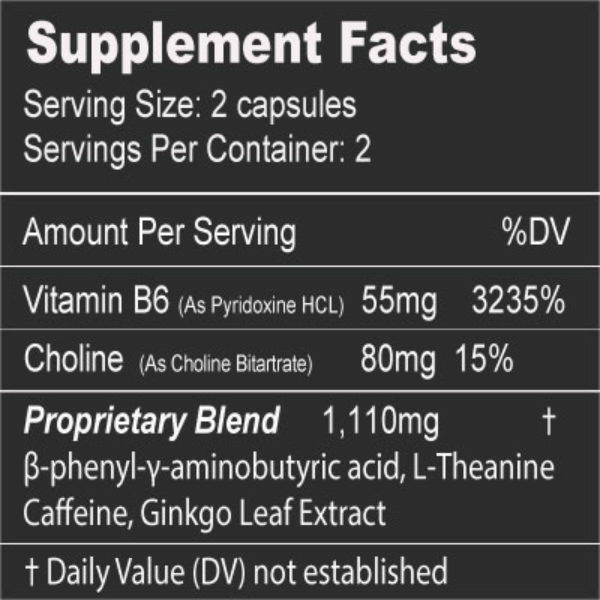 All-day energy, focus and mood support in one powerful supplement. Harness your true potential and unlock a better mood, mind, and day! 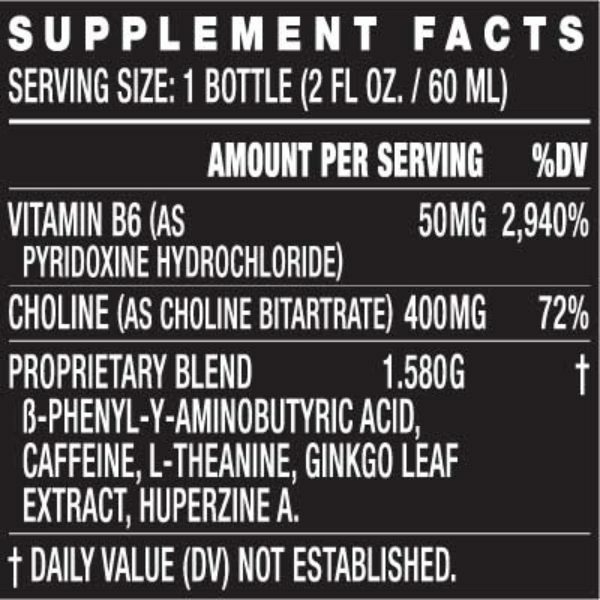 Our state-of-the-art formula promotes brain focus, mood enhancement, motivation and relaxation. The minimal amount of caffeine allows Limitless to take effect quickly, leaving you energized but not jittery. This is NOT a caffeine-based supplement. Click Here to Save $40 by buying a 6-Bottle Bundle! Congrats, you’ve just found the #1 best mood enhancer & focus enhancer available. 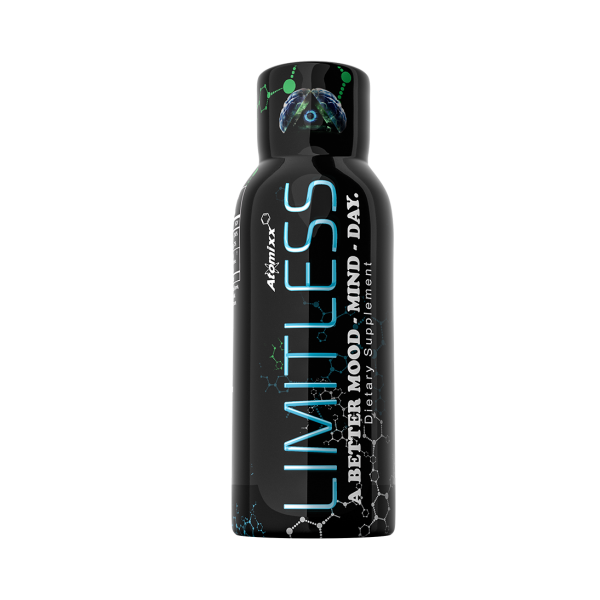 Limitless is a strategically designed blend of mood-enhancing, brain-boosting nootropics and vitamins, which together give you energy and support mental focus as well as a great mood and sense of well-being. Most mood enhancers and focus supplements need to build in your system before an effect is noted. Not anymore. Not with Limitless. Many people recognize it as the best mood enhancer they’ve ever tried the very first time they take it. 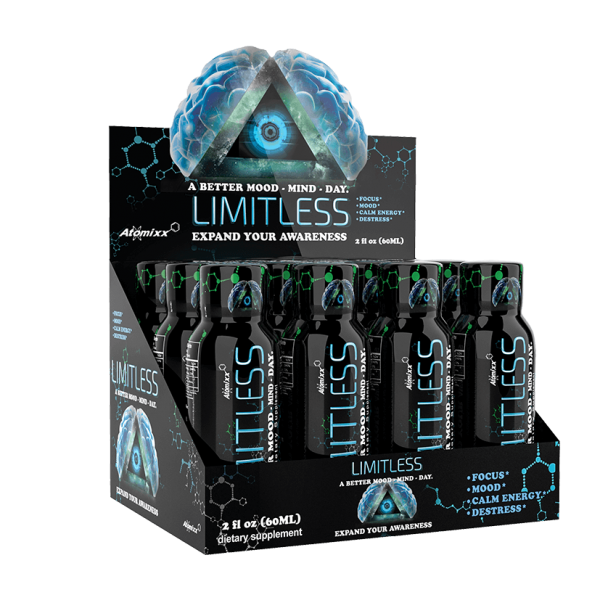 Limitless is sweeping the nation as one of the best supplements for energy, focus and mood, harnessing the power of Beta-Phenyl-GABA to calm the brain’s overactive, or “rapidly misfiring,” neurons. Limitless promotes mood enhancement, mental clarity, extreme reduction in anxiety, and a boost of energy without the unwanted side effects of other mood enhancers and brain focus supplements*. 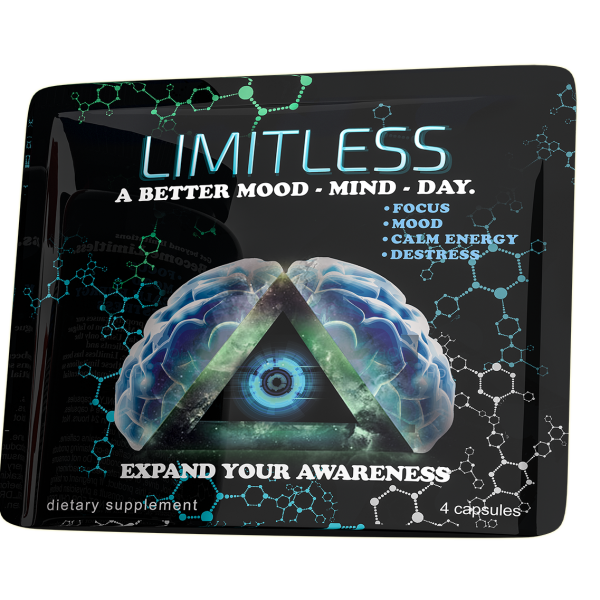 Read more about the science behind the Limitless and learn why it is the best mood/focus enhancer here. Get yours today and unlock your Limitless potential! One, 20-count bottle of Limitless capsules that can support a better mood, mind, and day. Discounts offered if you order more than one bottle (use quantity dropdown). 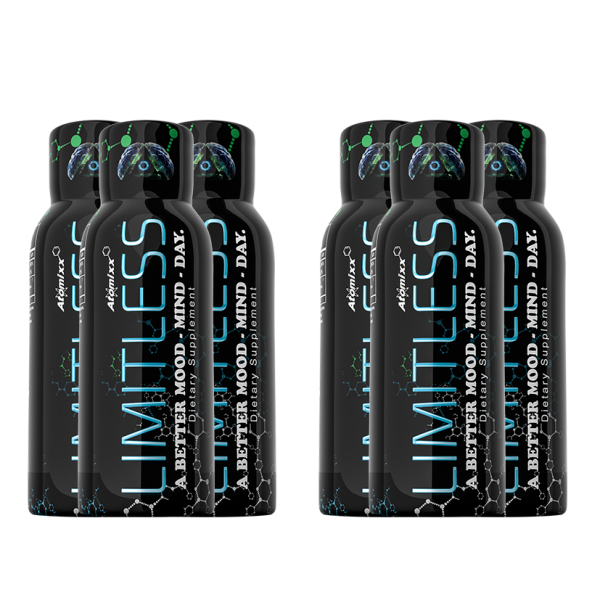 Experience a better mood, intense focus, no jitters, anxiety relief, and more with Limitless! Q: How long do the effects of Limitless last? A: Limitless can enhance your mental focus, energy and mood for up to 10 hours*. Q: Will Limitless cause sleeplessness or insomnia? A: Quite the opposite. 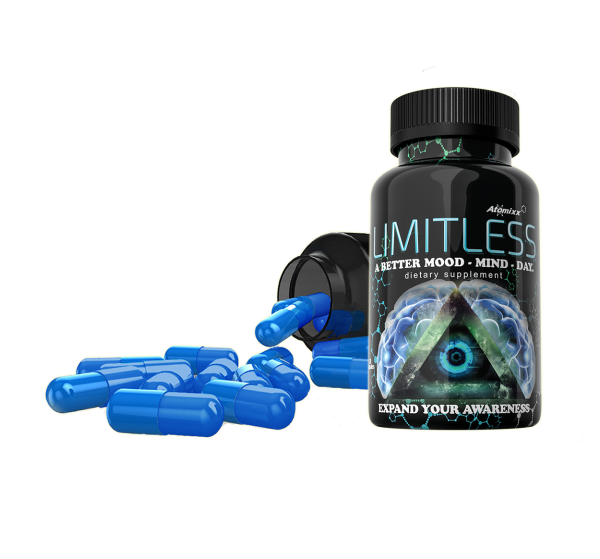 Limitless doesn’t act like the typical energy and mood enhancement supplements, which tend to prevent sleep and cause jitters. Instead, our proprietary method of developing supplements helps promote focus on sleep towards the end of the day. Laying down with the intention of sleep can support an extremely peaceful rest. Q: Can I take Limitless supplements every day? A: Limitless is not recommended to be an everyday mood enhancer supplement. Like anything, a tolerance can be built to decrease the effectiveness of Limitless. We recommend a pattern of as many days off our mood enhancer as days on (2 days on, 2 days off) so that you can continuously reap 100% of the benefits of Limitless when you need them most*. Q: What are the side effects of Limitless? A: Users should never exceed four Limitless capsules in a 24-hour period. We recommend starting with two capsules to begin promoting brain energy and function, and moving up from there. The blend may take up to an hour to take full effect*. I wasn’t sure what to expect, but after taking 2 doses I definitely felt a head change. I was skeptical but when I received the free sample and tried it.It did make me feel calmer had more energy and absolutely no crash later like with other ones going to order enough for the month and let you know abetter idea as if it keeps working after taking for awhile definitely looking forward to seeing the results. Excellent product. I received my free sample and this pills is incredible. I took only one a day and the result are amazing full energy and calm down and very relax after take it . looking forward to seeing more positive results. This actually works. Clear focused and calm. Improved mood and energy levels. I always have a bottle. These really help keep me energized throughout the day. Highly recommend! Will definitely purchase more. Hello when I take this capsules they calm me down and keep me Focus with the PERFECT amount of energy these are the best mood enhancer I have ever tried I do not take them everyday only wen I need to be on point I have a small business that sometimes needs a lot of attention and these works for me. I have tried similar products but I do not get the same results this is the best in my opinion ..Thank you.. I was very skeptical of this and other similar products. I was very surprised at how calmly focused I became within one hour after taking one capsule. The speed and efficacy of the effects of limitless really impressed me. I had no crash or side effects. I’m purchasing a bottle to keep on hand for the times I need that extra focus. Great product. I’ve been taking them for approximately a year on and off and love the effect it has on my daily activities, workouts, and work load. Amazing product, normally I buy the little packs in store, but the manager keeps forgetting to order more, so I ordered online, arrived in 2 days, fast free shipping, and great quality product. Husband an I both use it frequently. 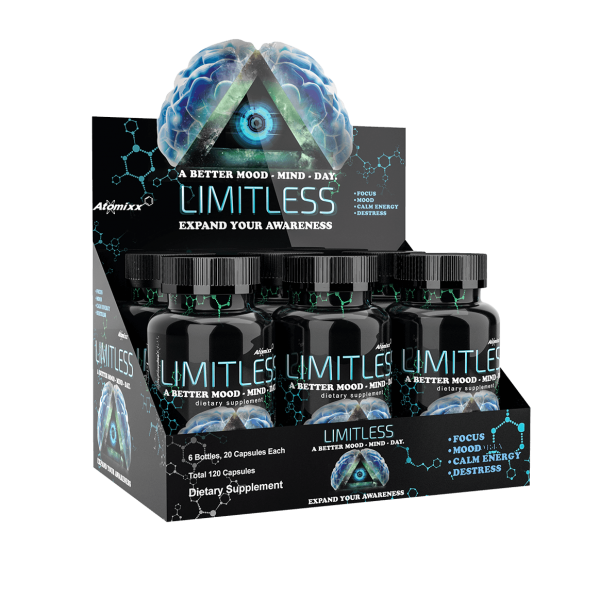 Limitless is hands down the best available brain enhancing supplement on the market! It’s fast acting and gives you the mental boost you need to accomplish any task and it work’s all day long. Theses are great I recently tried them and they give me good focus through out the day and not jittery feeling and no crash. Would definitely recommend them. I tried this with the free sample and it has worked better for me than anything. It gives me sustained, clean, no jitter energy that lasts way longer than an energy drink or diet pills with more caffeine than one should consume in a week. I can focus on my job better and get so much more accomplished. Highly recommend! 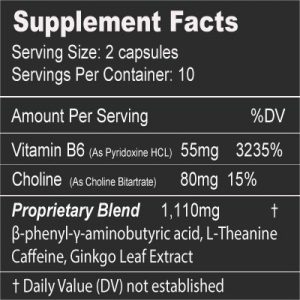 I love this product truly does help you stay focused and energized throughout the day! I absolutely love these supplements. I’m wired and energetic all day with no crash. My mind is clear and I’m able to get so much done in a day. I honestly don’t know how I could live without limitless!!! This product is absolutely amazing, makes you feel great all day long. Works very well for me. Lots of head clarity and nice smooth energy throughout the day! Will be purchasing again for sure. Great product. It works as stated & no side effects for me. I will be purchasing more. I started out with the energy shots. Which are also amazing, but I wanted to try the pills. They are just as amazing and I can take 2 on some days and it works great! I love the way I feel. I don’t ever get that shakey feeling I get from other energy drinks and pills. I love the 20 pill bottle. The pills help me get things done around the house and complete homework as well because of the mindfulness and energy it gives me. Awesome!!! I love the effect this has on my moods & energy!! !